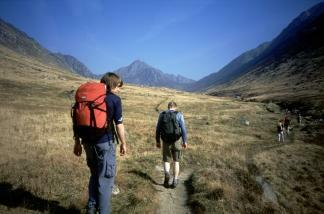 The Scottish Hills offer some of the most beautiful and remote walks in the UK. From the Islands off the West coast to the depths of Knoydart there is always another summit to climb and another horizon to view. Perhaps you want to visit some remote Munros with an experienced guide or wild camp for the first time. Contact us to discuss your aspirations. Navigation is one of those skills you often don't learn until it is too late. On our navigation courses we will look at choosing the right map and how to use it. We concentrate on the essential skills like understanding contours and route choice over the terrain encountered. We will also look at the use of a compass and how to take bearings. More difficult skills like pacing and timing will also be taught. 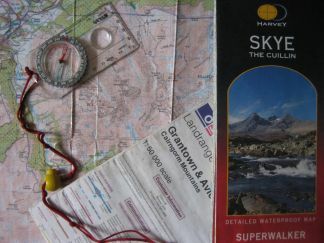 Navigation courses can be run all year round and from the lowlands to the highlands. Contact us to discuss your needs further.